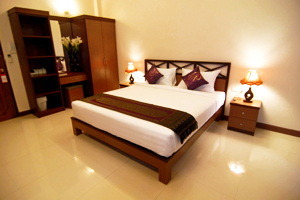 With the extensive space of 70 sqm, this spacious and airy room comes with 2 bedrooms, 1 bathroom and 1 toilet. Our 2 bedrooms are fully self contained and sleep up to four people. These are perfect for the family. The room comes with private balcony, mountain view and extensive space balcony.